Mitchell has a superb half marathon debut at the Great North Run, while the Mondello 10km brings the curtain down on the inaugural KIA race series. 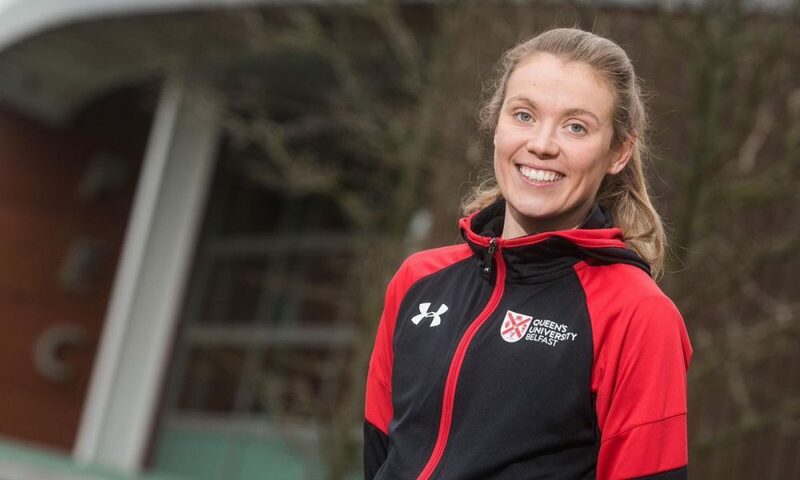 Emma Mitchell of Queen’s AC produced the Irish performance of the weekend when she finished eighth woman in her debut half marathon at the Great North Run on Sunday (September 9). Mitchell was with the lead pack at 5km which was reached in a time of 16:51 and although falling off the pace, went through 10km in a highly respectable 34:39. The Northern Irish born athlete crossed the line in an encouraging time of 74:36 ahead of Britain’s more experienced long distance runners to finish as the first female athlete from the UK. Leevale’s Lizzie Lee is the only Irish athlete, with a time of 73:24 in Barcelona last February, to run a faster over the distance this year. Best among the Irish men was City of Lisburn AC’s Chris Madden, who finished in 71:46. A day earlier, Leon Reid of Menapians AC finished fourth in the 150m with a time of 15.41 secs at the Great City Games. 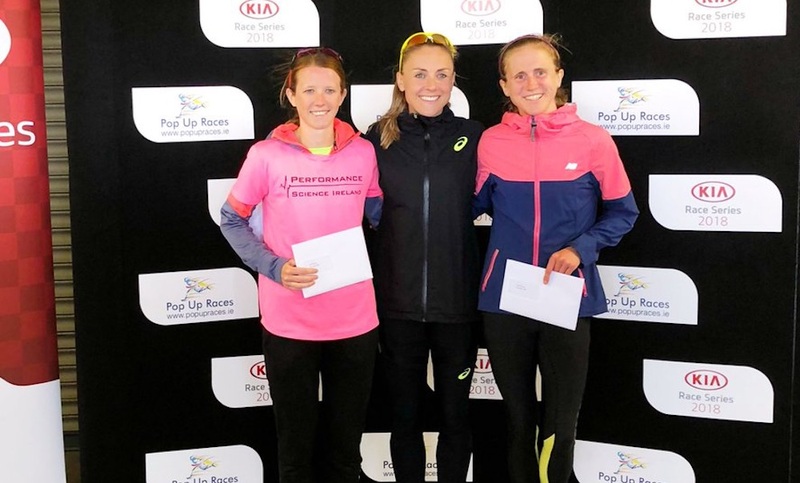 Hiko Tonosa of Dundrum South Dublin AC and Kerry O’Flaherty of Newcastle and District emerged as overall winners of the KIA race series with victories at the Mondello 10km in Naas, Co Kildare on Sunday (September 9). For Tonosa, it was a seventh victory out of seven starts in the eight race series. His time of 30:16, saw him hold off the challenge of Raheny’s Kevin Dooney who was running his first race in some months and finished in 30:29. Dooney has featured on Fast Running throughout the year sharing his running story. Third in 30:37 was Mick Clohisey of Raheny Shamrock, who had one victory in the series to his credit. Tonosa was the overall male winner of the race series but did not meet the criteria of winning the Kia Ceed (as he does not hold a full valid Irish driving licence). 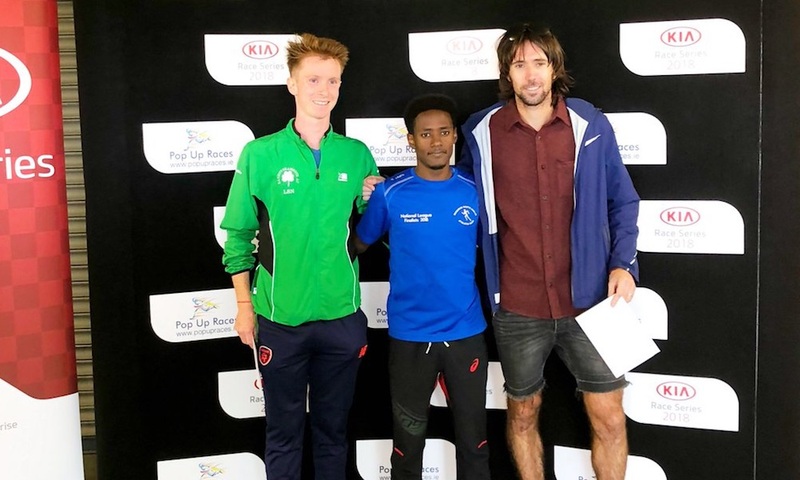 The DSD athlete, received a cash prize, with overall second place Eric Keogh from Donore Harriers the winner of the new Kia Ceed (for 12 months). Kerry O’Flaherty was taking a fifth win in the series and finished in 34.45 and 10th overall. Just one place behind her was Laura Shaughnessy in 34.45. The pair were chasing the mixed team prize of €1,000 and had teamed up with Tonosa and Clohisey as ‘Mick’s Bag’. With four in the top eleven, they duly pocketed the extra €1,000, beating off a team (somewhat dubiously) called ‘Ravishing Raheny Rides’ which consisted of Kevin Dooney, Graham O’Dwyer, fifth-placed woman Zoe Quinn and eighth-placed woman Orla Manley. First in the wheelchair race was Patrick Monahan of Le Cheile AC in 24:24. 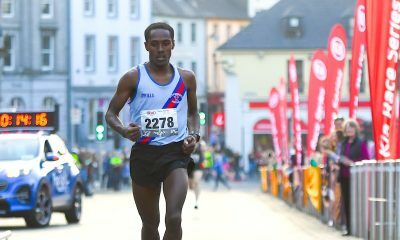 In Cork, Tim O’Donoghue was out on his own at the John Buckley Sports Cork 10-mile, leading home 740 finishers in 51:30. His East Cork club-mate Kevin O’Leary was second in 54.13 and Colin Merritt third and first master in 54.44. Leevale’s Jill Hodgins proved the class of the women’s field winning in 60:24. Second and third were Catherine Kiely of Gneeveguilla AC and Katie Hickson of Cork Tri Club. 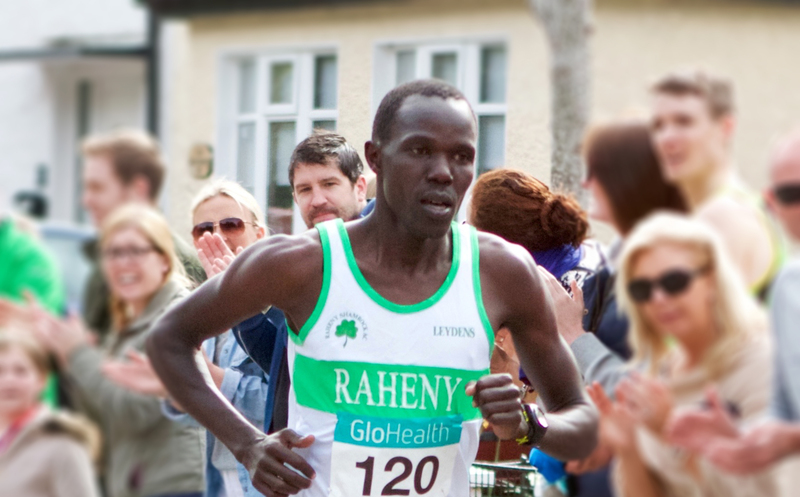 Freddy Sittuk of Raheny Shamrock was having a busy time of it on Saturday (September 8). 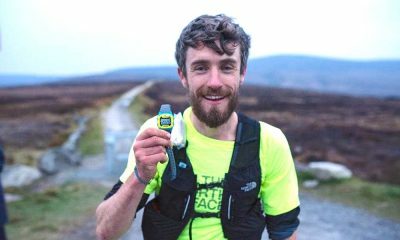 He started his day in Blessington where he won The Lakes 10km in 32:33. Louis McCarthy of Rathfarnham WSAF was second in 32:37 with Eoin Callaghan of Star of the Sea a close third in 32:40. A clear winner of the women’s race in 38:37 was Sandra Lynch of Kilcoole AC. Sittuk then headed for Ferns, in Co Wexford, close to his current residence, where, later that day, he was first home at the Mick Murphy Memorial 4-Mile in a time of 20:38. Cian Kelly of St Abban’s, who finished in 21:14, just held off Aidan Rogers of United Striders for second place. First woman was Fiona Kehoe of Kilmore AC in 23:32. Catherine O’Connor Sli Cualann was second in 23:52 and Justine O’Connell third in 25:03. Winners of the inaugural half marathon in Blessington were Stephen Conroy of Celbridge AC in 79:54 and Triona Quill of Crusaders AC in 1:41.01. Not far away in Co Meath, the winners of the Ratoath Half Marathon were Stephen Kelly of Drogheda and District in 74:48 and Aoife Parella of Star of the Sea AC in 91:45. 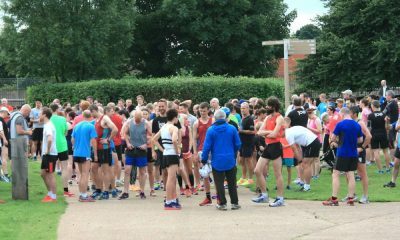 Dunleer’s Darragh Green and Irish steeplechase champion Michele Finn of Leevale AC were the winners at the Dromiskin 5km in Co Louth, also on Saturday (September 8), which attracted a record entry of 610 starters. Greene’s time of 14:59 put him comfortably clear of Paddy Hamilton of Slieve Gullion Runners who finished in 15:15. Shane Healy of MSB was third and first M50 in 15:32. Finn finished eighth overall in 16:45. Tallaght’s Laura McDonnell was second and Michelle Cox of Newbridge third. Highlight of the 21st annual British and Irish Junior Mountain Running championships hosted by Ireland in Glendalough, Co Wicklow on Saturday (September 8) was Grace Carson’s stunning victory for Northern Ireland in the girls’ U20 race. Carson, a member of the Mid-Ulster club, raced away from the field to finish in a time of 31:26 for the 6.7km up and down course. That put her almost a minute clear of the chasers led by England’s Eve Pannone in 33:14. The day has started well for Northern Ireland when Sorcha Mullan of Omagh Harriers finished third in the U17 girls 4.7km race. For the Republic, Aoife Coffey of Lucan Harriers was a close fifth. In the boys’ U20 race, Northern Ireland, with St Malachy’s pair Tony McCambridge fourth and Conall McClean seventh, took team bronze. 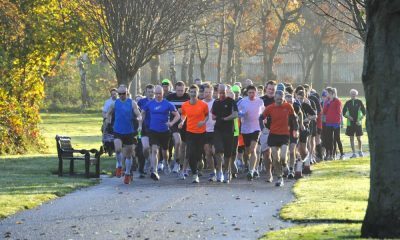 Making up the team were Jared Martin of Scrabo Striders and Peter Carty of Lagan Valley. For the Republic, Ruairi Long of Rathfarnham WSAF finished 10th. Although they had only one individual winner, England finished top team overall for the 19th time in the 21 years of the competition.